Quail Prairie Lookout is a 15x15 ft cabin atop a 52 foot tower. There is a wood stove, chairs, a single bed, table, stool, and firewood provided. A vault toilet is near the tower. 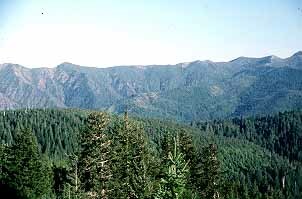 Visitors enjoy views of the Kalmiopsis Wilderness and the Chetco River drainage. Quail Prairie Lookout is available June 15 through October 15 and can accommodate four people. For more information contact the Chetco Ranger District.